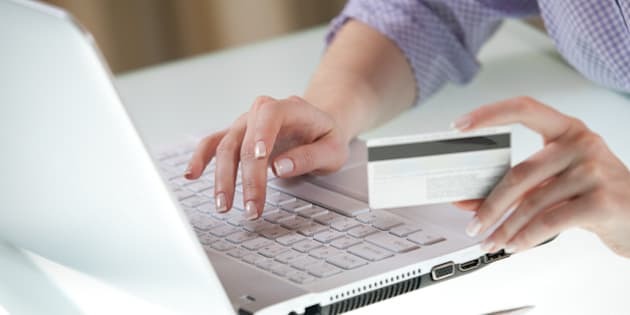 CANBERRA -- Treasurer Joe Hockey has announced that the cost of overseas online purchases is set to rise from mid-2017 after an agreement to apply the 10 percent GST to all internationally bought goods. From July 1, 2017, the tax-exempt status for purchases from overseas websites worth less than $1,000 will be abolished. Hockey announced the revenue raising measure after five hours of talks with his state counterparts in Canberra. “It will ensure there is a fair and equal treatment for all goods and services,” Hockey told reporters in Parliament House. “If there is leakage out of the GST it is our responsibility, with a unanimous agreement of the states and territories, to plug the hole." He acknowledges concern about Australia’s ability to collect the GST from overseas vendors, but he says, over time, compliance will increase. “It is hugely important to understand one of the impediment to delivering on this integrity measure in the past has been the enforceability of it,” Hockey said. “Previously, there were proposals that each parcel that comes into the country should be inspected and determined whether that was less than a certain value. The Treasurer says taxation officials will now have to visit overseas vendors to sign them up for Australia’s GST system. Local retail groups are pleased, saying it creates a level playing field, but consumer groups have warned the changes could lead to extra unexpected costs for shoppers. Hockey denies the announcement constitutes a broken election promise, despite declarations before the September 2013 poll that there would be no changes to the GST during the Government’s first term. “Well it is clearly integrity. And secondly, it starts on the first of July 2017 -- after the next election,” insisted the Treasurer. Although, he says it is possible the change may be brought in earlier than July 1, 2017, perhaps six months earlier. On other possible reforms to the GST, the treasurers again agreed to disagree. There was no agreement among the states to remove the GST from female sanitary products. Other options to raise tax revenue also did not progress, despite a renewed push by NSW to increase the rate of the GST to 15 percent. Retail groups are pleased, but consumer groups have warned the changes could lead to extra unexpected costs for shoppers.